My name is Hank. 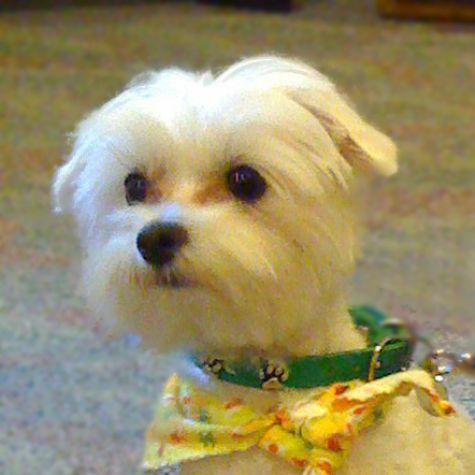 I�m a Maltese, and I weigh 7.3 lbs, but my heart is so big that I might as well be an elephant. I love everyone, especially kids and old people. I was so happy when I was �hired� at Love On 4 Paws! My purpose is to spread joy, and I�m a real professional now! I�m very smart, and I can do a lot of tricks, but there�s nothing I like more than wearing my vest and doing visits. When Mom says it�s time to visit the kids, I go sit in her purse to show her I�M READY!